1. 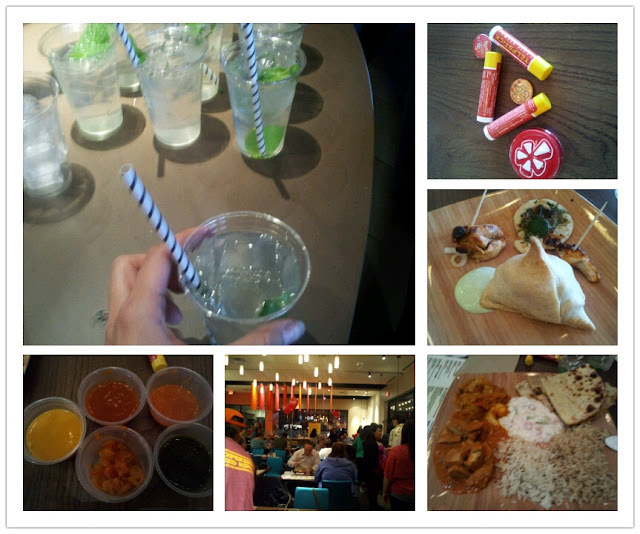 I went to my first Yelp Elite Squad event this week. It was at OMango in Aurora, which is an upscale fast food place that serves healthy Indian food. I've had this style cuisine before, but this was far more approachable. The chef explained the dishes and sauces, offering up a wide array of awesome food. If you'd like to hear my whole take about the place, check out my Yelp profile. The picture here doesn't do the gear justice. 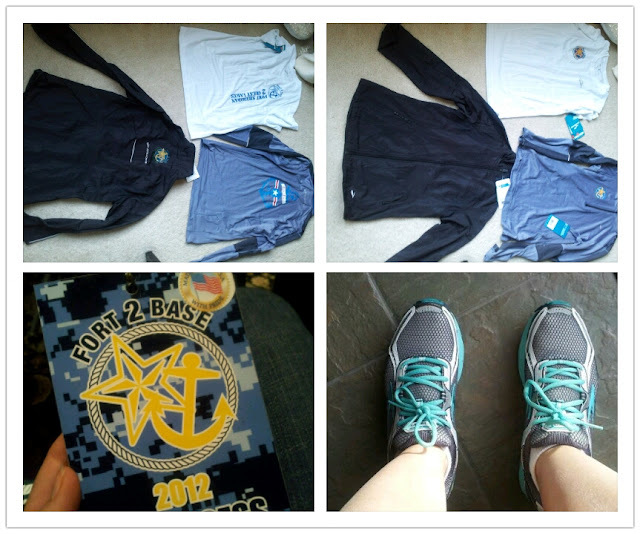 I got an awesome running jacket, a running thermal top and a wicking short-sleeve top. If you're running the race Sunday, make sure to check out the merchandise because it's super sweet. I'm a Yelp Elite too, so let me know if you're going to any future events! Usually they are too far away from home for me, so I have yet to go to one. Are you changing your diet at all, now that you are done with marathon training (the Yelp Elite food pics made me think to ask that ;)). P.S. Did you change your commenting style - I thought I used to be able to enter my blog before, now it just looks like it's my google account? At the Yelp Elite event, I was still way high on the marathon and ate waaay too much. I haven't quite reached an equilibrium in terms of eating yet. And I haven't changed the comments section, but I've just been using the standard Google-issued comments. I might switch over to a plug in one of these days. How do you become yelp elite? I'm sure you have to post a certain number of reviews but is it a crazy amount? I have a yelp account but have written only 2 reviews.. I should get on this- being yelp elite sounds awesome! I'm not really sure how I became an Elite. I think I have about 50 reviews in there, but they want people who interact in the Yelp community, too. So give compliments, comment on reviews, check in to places, etc. Indian food is my #1 favorite cuisine! It's so elaborate and absolutely delicious when prepared well. Good luck on the race this weekend! !